If you have an emergency response or disaster recovery support team, you need a mobile unit to serve as a central location on any scene. However, you shouldn’t have to settle for a standard trailer and deal with the extra work of customizing it for your unique needs. Fortunately, when you come to Advantage Trailer, you don’t have to do anything other than speak with our design experts. We can help you customize any of our quality emergency response trailers for your organization no matter your objective. Custom emergency response trailers allow for precise manufacturing or upfitting to incorporate the functions and features to meet most any disaster response requirement. Whether you are a third-party dive rescue organization or own a company in need of frequent diving tools, we can help you create an emergency response trailer that is stocked full of all of the supplies and equipment you need to carry out a successful mission. From a designated space for oxygen tanks to a radio center to communicate with your offshore counterparts, we have you covered. As an animal rescue organization, you might work with abandoned puppies or neglected horses. Therefore, you need to be able to customize the length of your trailer to fit your needs. 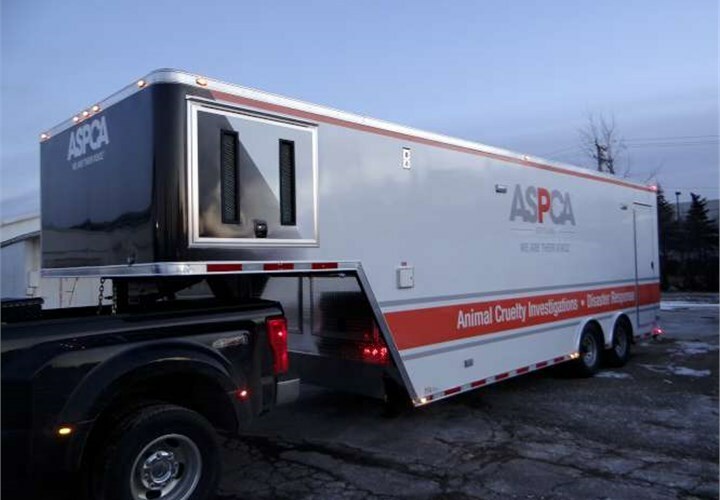 We can fabricate a trailer long enough for several horses if necessary, but if you primarily focus on medical attention for smaller animals, we can create a shorter trailer that is more manageable. Best of all, we can create a specific area for keeping sterilized medical equipment organized. When natural disasters strike a region, first responders and dispatching centers are often overwhelmed. To provide more people with the access they need to water, radios, and shelter, we can provide you with several disaster response trailers. We can customize the exterior of the trailer to make it recognizable and noticeable for people as they seek help. In addition, you can stock all of the supplies you may need and build the equipment required for regional disaster preparedness. Last, but not least, we can create a customized first responder trailer, which can also be used as a disaster response trailer. From DUI enforcement posts to Hazmat trailers, we can create a mobile station for handling any emergency response situation. At Advantage Trailer, we are passionate about working on challenging projects, so you can count on us to provide you with equipment no matter the objective of your government or private agency. If you would like to get started with choosing the length, layout, or design of your emergency response trailer, we encourage you to reach out to us at Advantage Trailer right away. You can call to discuss your needs or fill out our online form to request your complimentary project estimate.